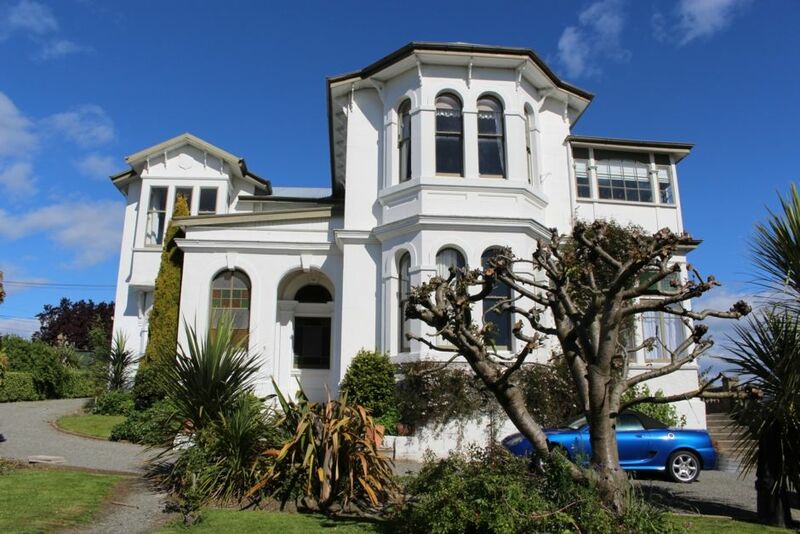 Braemar House sits high atop South Hill in Oamaru with commanding views of the Bay through to the Southern Alps. Your apartment is snuggled away inside this huge manor. Newly renovated and recently listed this property affords you all that being in Oamaru provides, including easy access to the historic precinct, the special little blue penguin colony, steam punk head quarters, restaurants, cafes, galleries, the Opera House and of course the seaside. The apartment has its own private access, a deck for your afternoon glass of wine or a Scotts takeaway beer. Your hosts are happy to be as involved in your stay as you desire and are able to provide any news or tips that make your stay in Oamaru more personal or enjoyable. Ease of use. Come and go as you please, we are here to help. The appartment is very characterful, spacious and well equipped. The appartment is very characterful, spacious and well equipped. With the log fire roaring away it was lovely and warm. Private off-road parking and such close proximity to the centre of Oamaru was a bonus. Would highly recommend! Braemar House is architecturally interesting and enhanced by collections resulting from years of world travel by the owners. Our flat within the house was clean and comfortable with a TV room, sitting room with fireplace, bedroom, and newly renovated kitchen and bathroom. Every morning of our seven-night stay, we climbed the gracious stairway to the breakfast room with great views of Oamaru and the Bay. The location was perfect for views of the environs and convenient to Oamaru’s attractions. The location is central, easy to get to and very quiet and has wonderful views overlooking Oamaru and the bay. The property is steeped in history and is full of character. The accommodation is spacious and spotlessly clean and has been modernised to a very high standard. You have your own private double lounge, a large bedroom with a Mexican bed and a large modern bathroom. If you stay here you are in for a treat. The property was clean and warm and an ideal location for both the township and attractions. Keri is doing up this fabulous old house to take more guests, we stayed in the finished apartment. Keri is doing up this fabulous old house to take more guests, we stayed in the finished apartment. Its been renovated to a high standard and is beautifully decorated. We especially loved the bathroom. The house is a very short walk to town, and is in a quiet neighbourhood. Keri showed us through the house and I hope we have the opportunity to visit again sometime to see it finished.